Tourists journey from across the globe just to spend a little time here, but the lucky ones are those who are living in Victoria! James Douglas established Victoria in 1843 as a Hudson’s Bay Company Fort, and the city has retained a distinctly British style, and is often called “Little England”. Victoria is also nicknamed “The Garden City”, a well-earned sobriquet, this city is astonishingly beautiful. Homes, businesses and public spaces; it seems that everyone does their best to create gorgeous landscapes! This horticultural extravagance is made possible by the temperate climate that Victoria enjoys. Gardening is feasible year round due to the mild, damp winters and dry sunny summers. In fact, it seems as though most of the year consists of spring and fall, those seasons stretch on and on! This excellent gardening weather is also appreciated by the people living in Victoria; outdoor activities are possible throughout the year. Victoria is easy to reach, located as it is on the southern tip of Vancouver Island. Access is by air into Victoria International Airport, or right into the inner harbour by float plane. You can sail on BC Ferries into Swartz Bay, or from the United States sailing out of Anacortes, Port Angeles or Seattle. Homes in Victoria range from apartments and condominiums (there are highly coveted commercial heritage building conversions right downtown), to multi family and single family residences. Heritage homes abound, and some have been lovingly restored to preserve their historic charm while adding modern amenities. The Royal BC Museum and Maritime Museum of BC are magnificent and worth visiting on a regular basis. 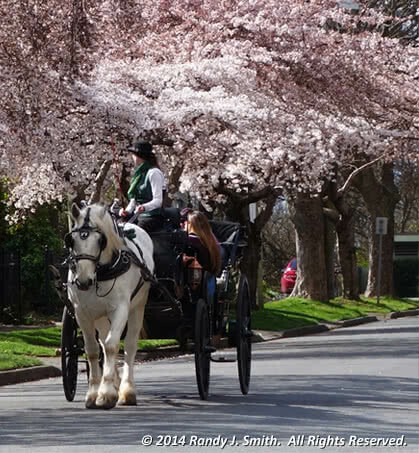 Beacon Hill Park is delightful for a picnic; or you can catch a concert at the Cameron Bandshell on a summer evening, or perhaps turn the children loose in the waterpark on a hot day. Fantastic shopping and delectable dining opportunities (there are advantages to living in a tourism oriented city!). To address more practical issues; Victoria has its own fire department and police force (the oldest police department west of the Great Lakes, established in 1858). The city offers weekly garbage collection and recyclable pickup is provided by the Capital Regional District (CRD). Visitors to Victoria have consistently ranked the city one of the best places to visit, so it makes sense that it’s also a wonderful place to call home. Because of the temperate climate, modern amenities, friendly people and the sheer beauty of this place, you should be living in Victoria! It can be hard to describe what Living in Victoria is like with words alone, it’s so amazingly beautiful, and packed with local treasures to explore. In this video, take a drive around Fairfield, Cook Street Village, Bigwheel Burger, Bubby’s Kitchen and even The Beagle Pub!